A complete list of achievements as well as tips on how to get them easier. These are all the achievements which require you to complete the campaign on normal or higher with a certain character. Basically, to get all of these you just need to complete all of the campaigns with all of the characters (Excluding Sumika). Protip: You can use as many continues as you like. Complete Suguri campaign on Normal or higher. Complete Saki campaign on Normal or higher. Complete Iru campaign on Normal or higher. Complete Nanako campaign on Normal or higher. Complete Kae campaign on Normal or higher. Complete Kyoko campaign on Normal or higher. Complete Hime campaign on Normal or higher. Complete Sora campaign on Normal or higher. Complete Alte campaign on Normal or higher. Complete Tsih campaign on Normal or higher. Complete Mira campaign on Normal or higher. Complete Sham campaign on Normal or higher. Complete Nath campaign on Normal or higher. Complete Star Breaker campaign on Normal or higher. These are the achievements which require you to unlock something. Complete Story Mode with all characters without using any continues. Have 256 Battles on Arcade Mode + Complete Story Mode with any character without using any continues. Unlock all BGM & Stages. Tip: Here is a complete list of all BGMs & Stages. Swordfish - Complete Arcade Mode using 5 different characters or have 90 matches on Arcade Mode on any difficulty. Remember Me - Complete Arcade Mode using 10 different characters or have 120 matches on Arcade Mode on any difficulty. 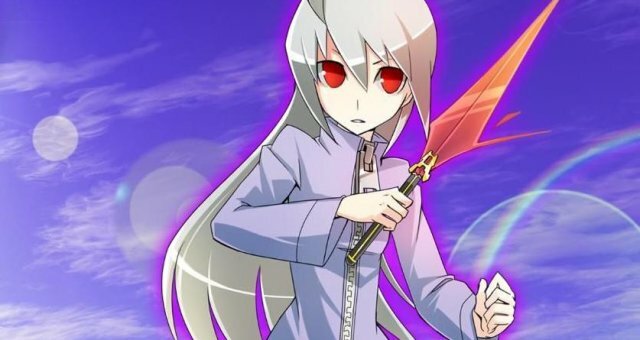 Accelerator - Complete Story Mode using 7 different characters without using any continues on any difficulty. Magical Girl of Miracles - Complete Story Mode using 10 different characters without using any continues on any difficulty. Crashed Spaceship - Complete Story Mode using 3 different characters without using any continues on any difficulty. Sumika's Hideout - Complete Story Mode using 5 different characters without using any continues on any difficulty. Guardian's Chamber - Complete Arcade Mode using 2 different characters from Suguri (Suguri. Saki. Iru. Kae. Nanako, Kyoko, Hime) without using any continues or have 15 matches on Arcade Mode on any difficulty. Capital in Flames - Complete Arcade Mode using 2 different characters from Sora (Sora, Alte, Tsih, Sham, Mira, Nath, Star Breaker) or have 30 matches on Arcade Mode on any difficulty. Moonlight Dance Hall - Complete Arcade Mode using 4 different characters from Suguri (Suguri. Saki. Iru. Kae. Nanako, Kyoko, Hime) or have 45 matches on Arcade Mode on any difficulty. 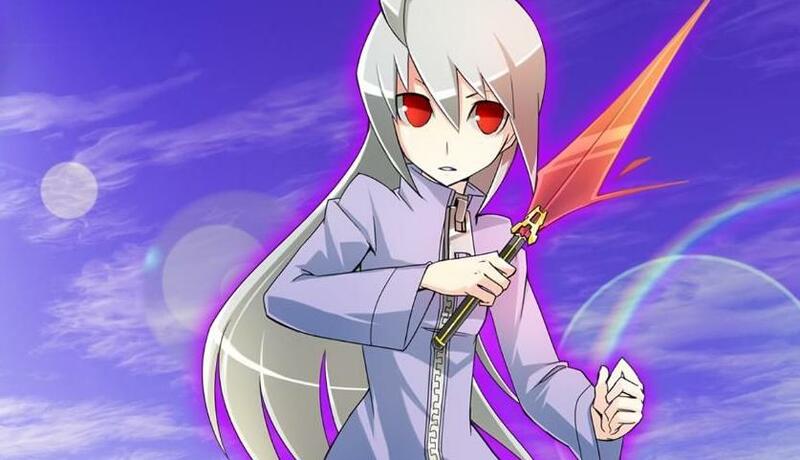 Whirlpool of Malice - Complete Arcade Mode using 4 different characters from Sora (Sora, Alte, Tsih, Sham, Mira, Nath, Star Breaker) or have 60 matches on Arcade Mode on any difficulty. These are achievements which require you to do something specific against a normal or higher CPU. Win a match against a normal or higher CPU without taking damage. Tip: You can set the opponent's handicap to 50%. Win a match against a normal or higher CPU without going over 100% Heat. Tip: You gain heat when you dash. Star Breaker also has the ability to increase your heat level. For the "Untouchable" achievement just play as Iru and set the enemy to Tsih with 50% handicap. It should be easy to dodge Tsih's attacks while you spam missiles. For the "Keeping it Cool" achievement just play as Iru and set the enemy to Kae with 50% handicap and spam missiles without moving. I guarantee that Kae will keep trying to get close to you. Here are the other achievements that didn't fit in a specific category. Finish Arcade or Story mode without continues or retry (on any difficulty). Tip: An enemy shield breaks only when you use your shield while inside it. So just find a friend and activate your shields for an easy achievement. Perform a combo with at least 4000 damage against a normal or higher CPU or another player. As Alte,use Accel Hyper to KO Sora against a normal or higher CPU or another player. Tip: Find a friend willing to die as Sora in multiplayer or Play as Alte with 300% handicap against Sora with 50% handicap and easily win the battle.